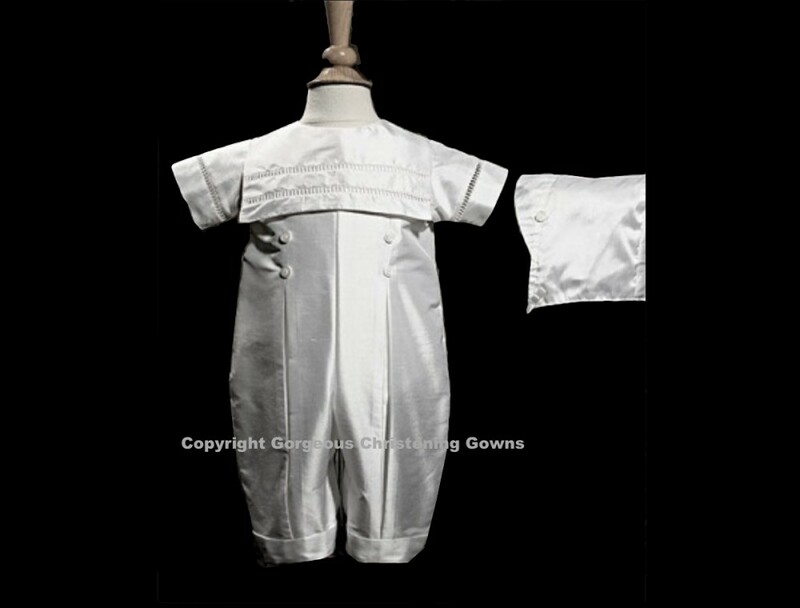 Handsome silk dupioni (slightly off white) christening coverall with elegant Swiss Entredeux ornamented collar and sleeves. 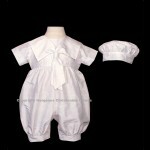 Includes matching bonnet style hat. 100% Silk. Hand made. 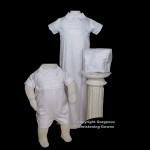 Refer to size chart below for sizing.